An exciting journey, exploring monochromatic colour schemes, starting with a singlecolour, extending it to produce a tantalizing range of tints, shades & tones using penmade and drawn letterforms. Armed with a wealth of ideas, there will be choices of smallprojects, using written or decorated drawn words for the final sparkle. 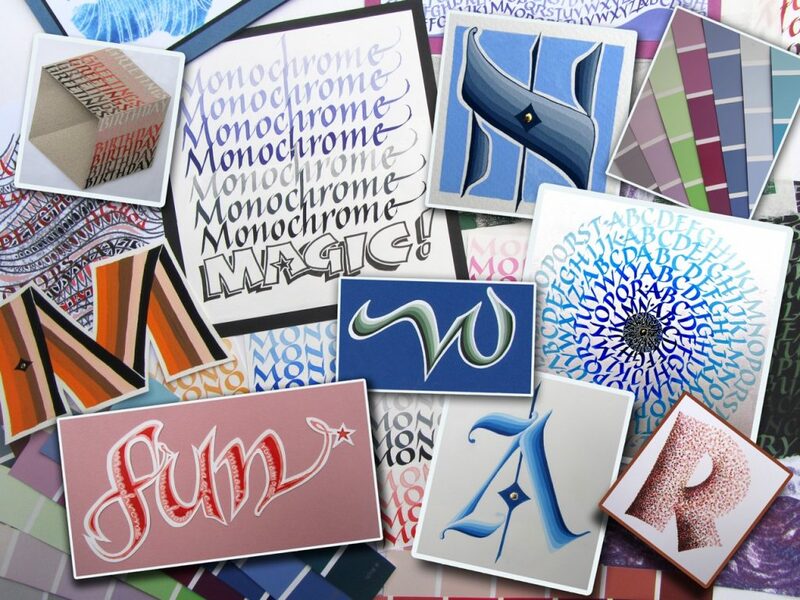 A fun filled tonal treat to keep spice in our calligraphic lives!